Congratulations to our Client Matador for their feature on ForbesÂ as a top stocking stuffer for travelers. With the Matador Pocket Blanket you can enjoy the outdoors anytime, anywhere. 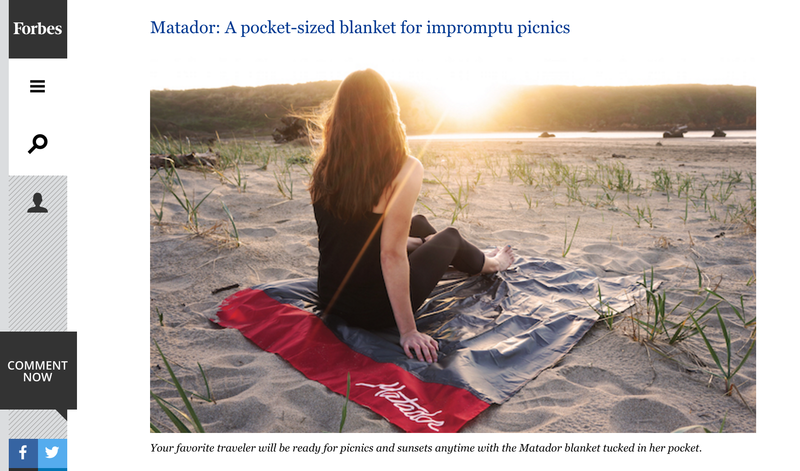 Great for picnics, beaches, concerts, festivals, naps, tanning, yoga, etc., Matador Pocket Blanket is small enough to fit neatly into your pocket or purse. Unfold to enjoy the 63″ X 44″ blanket. Enough space for two people to lay. Check them out at matadorup.com.